Please Note! 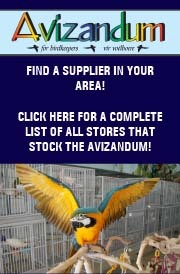 When Paying for your subscription, under the shipping method section please select the FREE Postage (South Africa) option, as the postage is included in the purchase price, thank you for your co-operation. 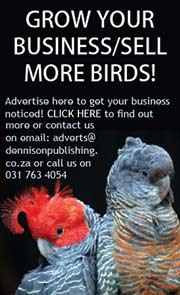 Ultimate Exotics is South Africa’s only magazine on the keeping and breeding of reptiles and exotic pets in South Africa. 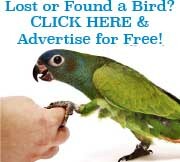 The Ultimate Exotics has up-to-date articles on all exotic animals from the popular reptiles such as snakes, lizards and geckos to the more unusual pets like the tarantulas, insects and the rare small mammals. 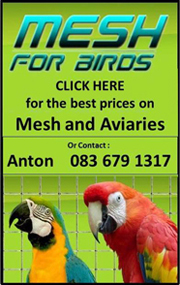 The articles in the Ultimate Exotics magazine are written by experienced breeders as they share their information on the care and breeding of these exciting creatures. 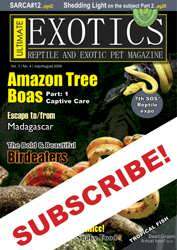 The Ultimate Exotics is a bi-monthly 48pg full colour magazine of international standard. Don’t miss out on a single issue, subscribe online now! Be the first to review “SUBSCRIPTION Ultimate Exotics, International incl. Postage (1 Year)” Click here to cancel reply.